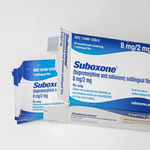 In the United States, if an opioid addict would like to try medication assisted treatment (MAT) for breaking the cycle of addiction, they need to speak to a doctor who has been certified to prescribe buprenorphine - sold under the brand name Suboxone. A number of health and addiction experts believe that MAT, together with counseling, is a proven method for opioid addicts to recover. Last week, a measure was unanimously passed by the Senate health committee that would increase access to buprenorphine, The Huffington Post reports. The measure was sponsored by Senators Edward Markey (D-Mass.) and Rand Paul (R-Ky.). While practically every physician has the power to become certified to treat patients with Suboxone, the vast majority of doctors have not taken the steps necessary to do so. Physicians are required to take a daylong course as part of the certification process, according to the article. After completion, doctors can prescribe Suboxone for up to 30 patients at time in the first year of certification, and up to a 100 patients in the following years. The amendment would lift the patient cap to 500, and give nurse practitioners and physician assistants the ability to prescribe the drug. The lack of doctors certified to prescribe, along with the patient limit restrictions, means that a number of opioid addicts struggle to gain access to MAT. The amendment is not expected to become law this year, but the Senators are hopeful that the bipartisan support for the measure will encourage the White House to reform the regulations on buprenorphine, the article reports.